Beeswax Wraps - the ultimate stocking filler or present for someone you just don't know that well. Everyone I know got these last year. A clingfilm replacement that is easy to wrap, easy to post and is a small UK based company. There's nothing about this I don't love. 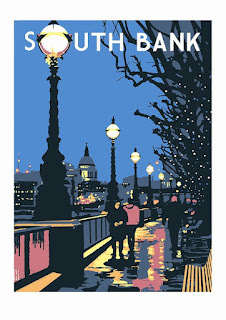 Black Dragon Press - I love my Agatha Christie prints from here - they look fantastic. Blue Bowl - always my first port of call for any present and at Christmas I find I can usually do the majority of my presents here. From stocking fillers (these tassel earrings are beautiful and there's beard balm for your hairier other half) to kids stuff via really unusual things in between. The stationary is out of this world (we all know I can't resist a notebook) and this drum charm is stunning. Everything is carefully curated and thought about - the zip bags are handmade with vintage fabrics - I adore this jungle print. 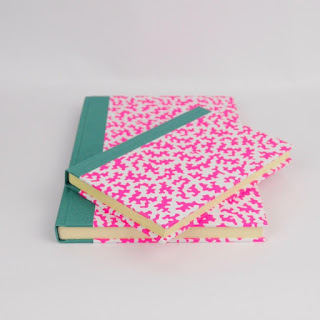 Caroline Gardner - I love her designs, we all know I have a stationary problem and her's is just gorgeous. And I really love her selection of cashmere - the socks and wrist warmers appeal to me the most. 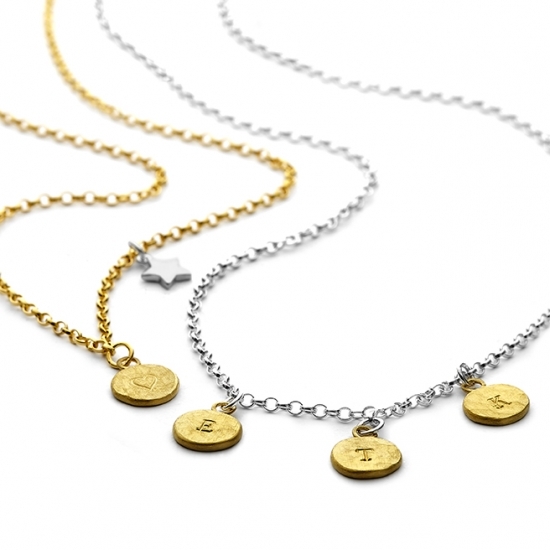 Chambers & Beau - I'm obsessed with this jewellery. You know when you love a brand partly because you love the person behind the brand. Well that's what happened here. The jewellery is stunning and made by an incredible woman. Members of my beauty group will know I love a lightening bolt so this brand is perfect for me. The cufflinks can be personalised are are lovely - I really like the sequin ones. 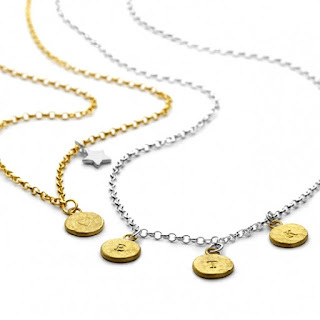 I particularly want the mini lunar necklace with my sons initials on. I have charms on my necklace and I'm always losing them - one of these would be heaven. Cheese Knives - these are very cool and ideal for the foodie man in your life or as a house gift. Dilli Grey - Indian-inspired, ethically sourced clothes and homeware. I love these elephants so much I couldn't wait for Christmas and have one above my bed. Their sleepwear is incredibly reasonably priced - for those of you who have wanted my sadly-discontinued floral dressing gown, these kimonos are the closest thing I've found and they are stunning. LimeLife Walk in the Woods Candle - this candle smells incredible. And it's not just a candle when the soy wax is melted it won't burn you but can be used as an incredible softening hand treatment. And when you've finished the pot looks gorgeous and you can keep stuff in it. You have to contact me to get your hands on one of these. Mrs Bridges Chutney Trio - I miss the pre-child Christmases where I would treat myself with a 'big shop' from Lakeland to get all my Christmas party bits. It's also a great place to get presents and the famous Mrs Bridges Chutney's come in this cute trio with a jute bag - a great foodie present or house gift. Nikuku - have a lot of lovely things and 10% off your first order. You'd be able get quite a few things from here I think. These brass star lanterns are chic and festive, I love these hooks and this heart dish is delightful. Pinch Provisions Minimergency Kit - I love this. I'm a total zip bag hoarder and the yellow one of this is just gorgeous and it's so useful. Great present for a girl you don't know that well. Red Face Prints - I love these vintage style prints. Although there isn't one of my area of London (not trendy enough?) I love the ones of Richmond Park and the South Bank. Rose Bottle Stopper - I've never been one for a bottle stopper but I love these rose shaped ones and the vintage gold and silver finishes. Skandinavisk - one of the few candle makers who makes products that you can really smell. Even when these aren't lit you can get a waft making them worth their slightly higher-end price tag. Skog is my absolute favourite. Socks - surely a stocking staple and my favourite socks are these bamboo ones from BAM. Super soft and hardwearing. Susie Watson - love Susie Watson designs and have her material for the curtains in my bedroom. This domed glass candle holder is heaven. White Company Winter Candle - it's not so much the candle that I'm interested in though I have an almost obsessional love for a candle, but the gorgeous mercury pot it comes in which I would use as a trinket dish on my dressing table afterwards.